Remember 2006, when the American Office was still finding its footing and everybody on Earth had a video blog? Well, Jenna Fischer remembers. As reported by Vulture, the actress recently unearthed a behind-the-scenes video she shot during the filming of the fan-favorite “Booze Cruise” episode from season two. Granted, this video has been sitting on YouTube since 2007, but now is a good a time as any to revisit our old Office pals. 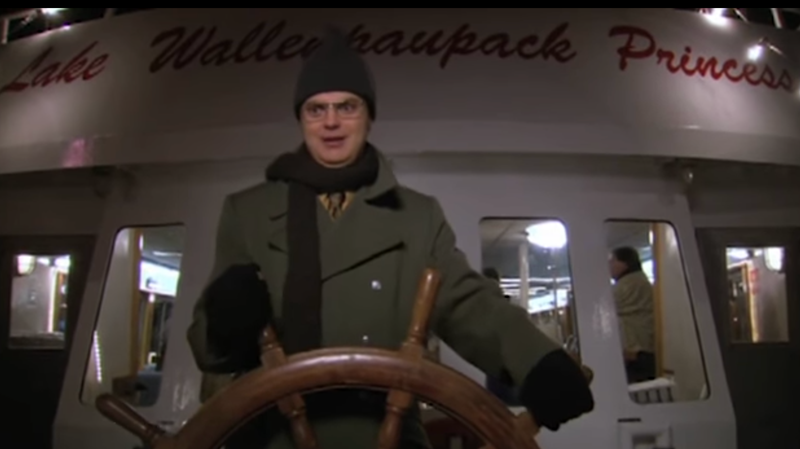 In addition to the myriad ambush-style interviews with members of the production crew—all of whom seem concerned that the episode is taking place on a boat—Fischer’s low-resolution vlog gets up close and personal with the cast on board, including guest star and future Academy Award nominee Amy Adams. It’s crazy to see everyone so young, so casual, and so unaware that their show is going to become a cultural juggernaut. There’s also a pretty great moment where B.J. Novak is manning the camera and has to ask Fischer how to zoom in. It’s very 2006! Were we ever so young?